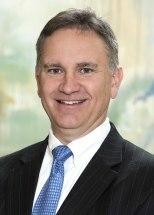 William P. Campbell joined Elk & Elk Co., Ltd. in January 2010 to further reinforce the firm's high-quality personal injury, nursing home malpractice and medical malpractice team. Bill has been practicing law for more than two decades in Ohio. He is a graduate of Bethany College in Bethany, West Virginia where he earned his undergraduate degree in accounting. In 1993, he earned his law degree from the University of Dayton. Bill has spent the majority of his 22-year career representing victims of negligence or malpractice. Among his professional memberships are the American Association for Justice, the Ohio State Bar Association and the National Nursing Home Litigation Group. Bill brings a unique set of skills and passion to each and every case. "My extensive experience as a trial attorney combined with the phenomenal support staff and all the resources at Elk & Elk Co., Ltd. results in a formula for success." "At the end of the day, it's the personal attention I'm able to provide my clients that makes me happiest." "I want all my clients to know that someone will guide them through the process. That, they can rely on me, and to know that they're going to be dealt with as though they're members of my own family." In his spare time, Bill enjoys being with his wife and his beautiful two daughters. Our client was standing on the side of the road when he was struck by the defendant who had lost control of his vehicle. The plaintiff was injured when the impact pushed him into another vehicle. He suffered a crushed knee and needed multiple surgeries. Disputed liability car wreck resulting in the death of a 41-year-old man. 78-year-old resident in a nursing home suffered a fall resulting in facial bone fractures and death. Plaintiff got out of bed to use the restroom and his alarm malfunctioned. Resident neighbor said she heard the Plaintiff screaming for help after he fell but no one responded until she used her call light. Plaintiff sustained a compression fracture and died within 13 days of the fall. Our client was the passenger in a vehicle involved in a single-car accident. He suffered a ruptured spleen and coccyx fracture. Minor client suffered a head injury (subdural bleed) and right shoulder strain in a head-on collision. Case settled for policy limits. While in a nursing home, the 86-year-old Plaintiff fell and hurt her head. When her son came to visit four hours later, the staff said they were waiting for a mobile X-ray, but didn’t think she was hurt. Son says that he could see the break in her hip and demanded she went to emergency room. Client sustained a broken left hip and slight concussion and required surgery to repair hip. The Defendant, an intoxicated driver, failed to yield at a three-way stop. Plaintiff suffered multiple injuries, including a sprained back, neck and left leg, a bruised left shoulder and a head injury. The Defendant failed to yield at a stop sign causing the Plaintiff to suffer back and hip pain and a sprained ankle. Plaintiff also had to undergo knee surgery.